"CST MONO-CAST® A One-Piece Process "
"Unlike some other manufacturers who use a “two-piece process” in their production of paving stones, CST has remained committed to their philosophy of solid “one-piece construction” for their paver and versa-lok® wall products. This means the concrete and color are mixed and poured together creating a one-piece product with the same color and consistency throughout. CST is confident that this is the most reliable way to guarantee long-term color, strength and durability. " 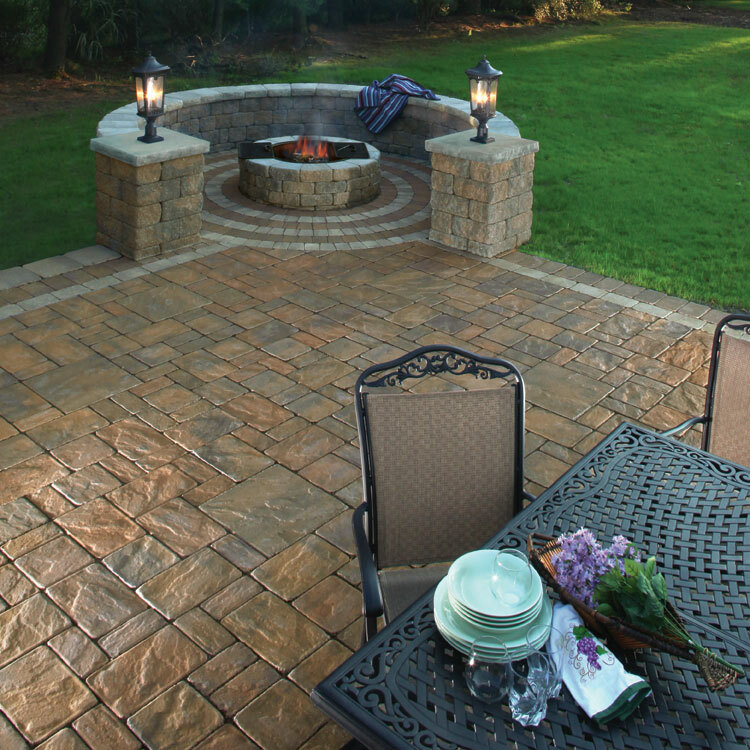 Become a step ahead of your neighbors with bricks that are beautiful all the way through to the ground. CST's Mono-Cast bricks are beneficial to any home that requires bricks to last years without noticeable wear and tear. They are able to withstand all elements due to the whole brick color being mixed with the foundation.